Technology trends have transformed clinical registries, improving the quality of data collected, increasing patient and clinical engagement and reducing costs historically associated with running a registry, thus providing an opportunity for registries to thrive. David Selvey, MBBCH(SA), FRCS Glasgow, FCS SA (Orth), MMed (Orth) and Clinical Director, Amplitude Clinical Outcomes. The gold standard for drawing research conclusions is the double blind prospective study. Although these studies offer the best possible evidence, they are not always possible. Nobody, (and for obvious reasons! ), has ever used a double blind prospective study to produce conclusive evidence that it is necessary to wear a parachute when jumping out of an aeroplane! There are many less extreme examples, where common sense or alternative analysis is sufficient to draw useful clinical conclusions. Registries, collecting large volumes of data, are well recognised as an adequate alternative solution and in many scenarios, they are the only solution. The problem, historically, has been the high resource and financial costs involved with creating and maintaining the registry. Even when registries have been created, clinicians, who are best placed to give clinical context to the data, are simply too busy. Often, it is only the threat of penalties or fines that have forced clinicians to spend precious time entering this data. 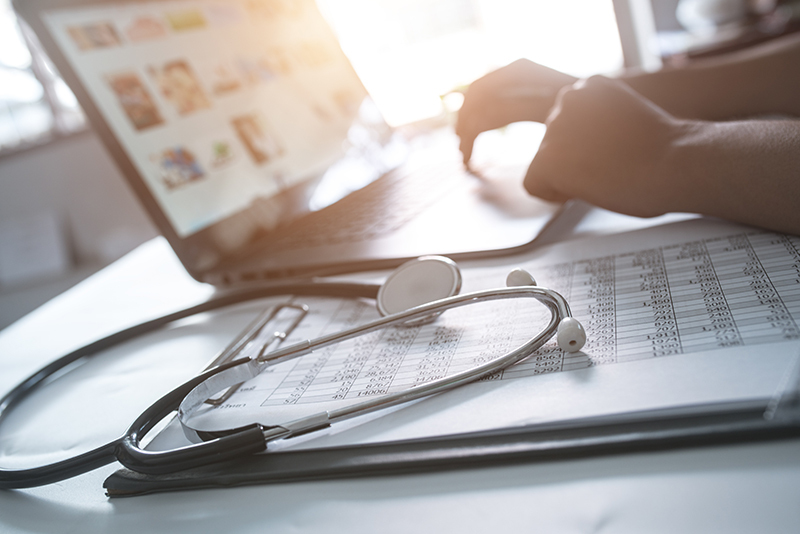 In many instances, clinicians delegate the task of data entry to someone who may have the time, but may not be in a position to, or have full knowledge, to record completely accurate data. Consequently, the validity of the data collected can be questionable. Furthermore, for many registries, data is sent to a central collection centre and there are often substantial delays to its consolidation and analysis. This then results in poor clinical engagement with a knock-on effect to patient engagement and so, the cycle continues downwards. Because of these factors, registries have not easily flourished in proportion to the benefits they offer. Research is largely run by academics and their support teams, thus not being inclusive of the broad majority of clinicians and their patients. Additionally, where clinicians have been involved, the task of collecting data has usually fallen outside of their normal practice, i.e. above and beyond their usual daily activities and as a result, only high risk or high-volume procedures or conditions warranted the expense and effort of a registry. The most significant change is advances in technology and its pervasiveness in our everyday lives. As data can now be captured electronically, directly into a database by both patients and clinicians, all the costly and negative aspects of paper data collection have been removed, including the variable quality of data captured. The ease with which data can be collected and reported on means that both patients and clinicians are more easily engaged with the process and the consequence is that the clinicians now have the potential to make the registry part of their daily routine. Clinicians no longer have to wait months for reports and analysis. Data is entered and available for reporting in real-time. As clinicians control their patient’s data, when submitted to the registry, the data no longer gets physically sent to a central collection centre, but remains instantly accessible. As registries are national, data can also be shared between different clinicians treating the same patient in different parts of the same city, county or anywhere in the country. The data is now part of the clinical record and actually helps the clinician in the management of the patient. With the GDPR deadline fast approaching, consent is a hot topic for everyone dealing with sensitive personal data. For clinicians using an electronic data collection platform, even the process of gaining consent has been automated, making this legal requirement, both simple and accurate. Web based electronic registries now belong to the clinicians, giving them help and support. They are engaged users who control their own data and as a consequence, they value its output and no longer view results with scepticism. The registry has finally become the powerful resource it was originally destined to be. Looking to create a registry? As the value of the registry increases, you may be interested in creating one. Finance is a key element and needs to be addressed in the early stages, but potential sources could include medical societies, universities, industry suppliers or government departments. You will also need to identify a key technology partner who will help you deliver the registry. In short, define what you are trying to achieve, focus on your objectives, identify likeminded stakeholders, source finance, identify a key technology and delivery partner and plan for success.